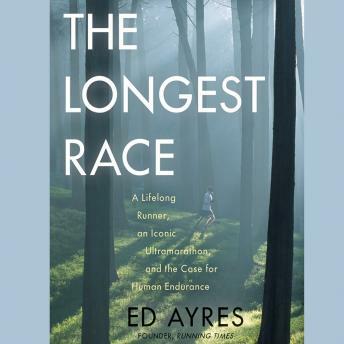 First and foremost a book about running, The Longest Race takes listeners alongside ultramarathoner Ed Ayres as he prepares for, runs, and finishes the JFK fifty-mile race at a then record-breaking time for his age division—sixty and older. But for Ayres, this race was about more than just running, and the book also encompasses his musings and epiphanies along the way about possibilities for human achievement and the creation of a sustainable civilization. Looking back over a lifetime of more than fifty years of long-distance running, Ayres realizes that his running has taught him important lessons about endurance, patience, and foresight. These qualities, also hallmarks of being human, likely helped humans to survive and thrive in the evolutionary race—and, Ayres posits, they are qualities absolutely necessary to building a sustainable society. Grounding each step of his argument are vivid details from this particular race and other moments across his long running career. These experiences take us far beyond the sport, into new perspectives on our origins and future—and what it means to be a part of the human race. In the end, Ayres suggests, if we can recapture the running prowess and overall physical fitness of our “wild” ancient distance-hunting ancestors, we will also be equipped to keep our bodies, our society, and the entire world running long into the future.